Do you think encryption guarantees effective security to your data? While the word “guarantee” might be a bit strong, encryption is a very effective method to restrict your data from unauthorized access. What’s encryption? Encryption is the process of encoding information in such a way that only authorized parties can read it. Encrypted information is usually protected with a unique password. 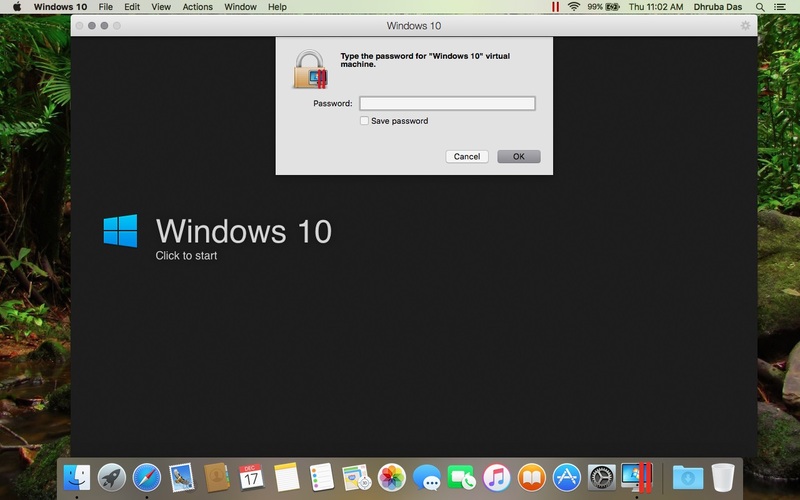 In this blog post, I will show you how to encrypt a Parallels Desktop virtual machine. 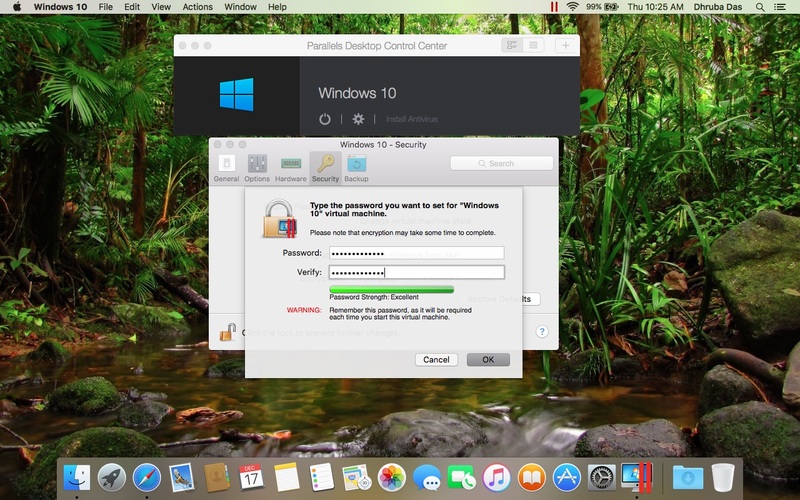 Parallels Desktop allows us to protect your VMs from unauthorized use. If you store any important data using Windows programs inside a VM, this might be a good way to go. 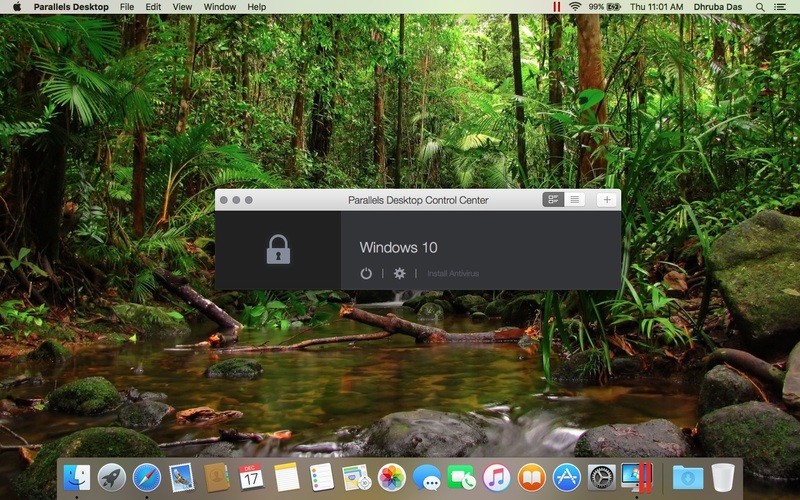 The encryption module provided by Parallels Desktop is a built-in feature. In order to encrypt a Windows VM in Parallels Desktop, first we need to have an actual VM installed. 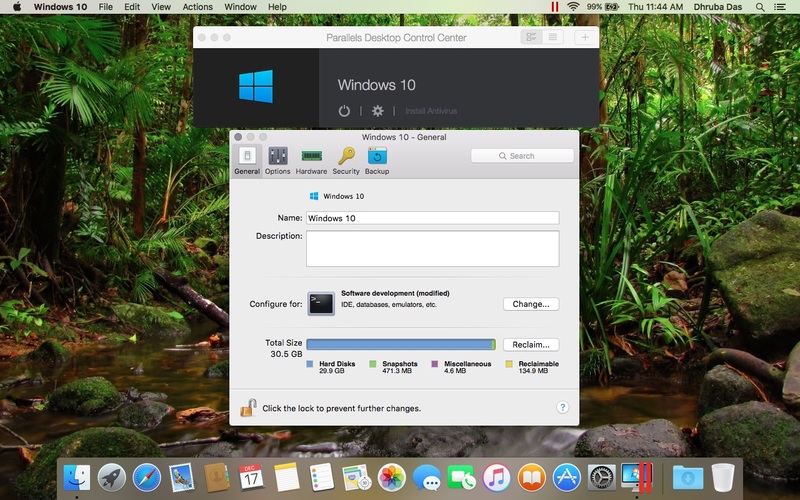 You can go through this blog post to install Windows 10 in Parallels Desktop. Once your VM is set up, shut down Windows but don’t quit Parallels Desktop. If you already have a VM set up, launch Parallels Desktop but don’t start your VM. Navigate to your virtual machine configuration. Switch to the Security tab and click Turn On encryption. Specify a password and click OK. Note: The specified password is very important to remember. Without this password, you won’t be able to start your VM. If lost, this password is impossible to retrieve. We recommend that you come up with a sophisticated password, including upper case and lower case letters and special symbols. Wait until encryption is finished and restart Parallels Desktop. Once it’s complete, you will notice the “lock” sign next to your VM in your Control Center. Now, start your VM. You will be prompted to enter the password. 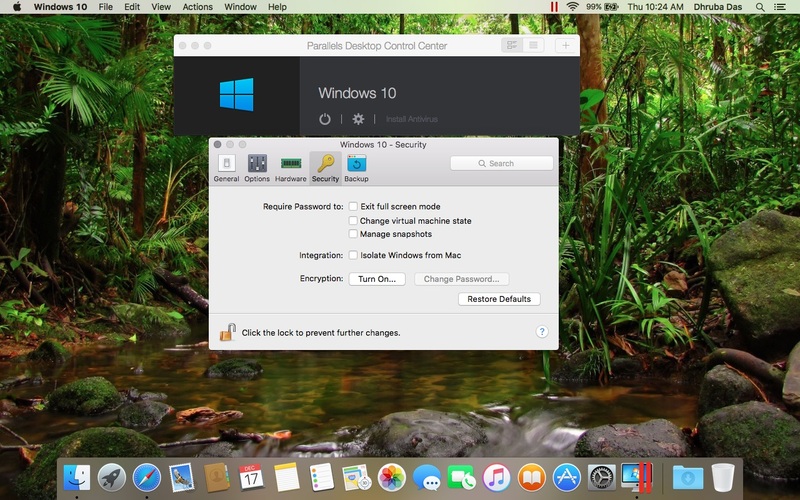 It’s that simple to encrypt your Parallels Desktop VM! For a quick visual recap, see the GIF below, which shows the process one more time. Want to decrypt your VM? Just turn off encryption at Security tab → Encryption. I hope this post helped you feel more secure this holiday season, and I wish you a secure year ahead! Comment below if you have any questions and don’t forget to follow the Parallels Support Team on Twitter.